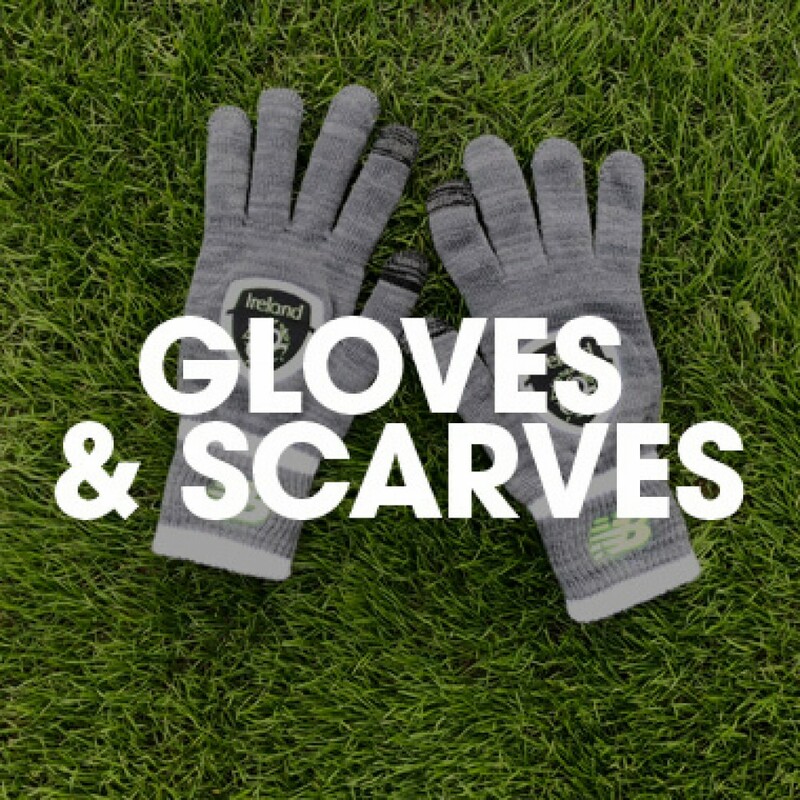 "Whether you wear it or hold it in the air, the Ireland scarf is essential for colder days in the st..
With smartphone-compatible index finger and thumbs panels, the Ireland Knitted Gloves are the perfec.. Welcome to the official Football Association of Ireland (FAI) web store for the Boys and Girls in Green! We are the number 1 online store for Ireland’s YBIG fans and COYBIG community! Shop the latest authentic trends in pro soccer range, jerseys and sports training apparel here 24 hours a day with next day delivery* direct to your door. You’ll discover fitness fashion mixed with street style in our technology inspired exercise clothing for men, women and kids. If you need kit for back to school or even a quick Christmas gift idea, we supply value and express delivery worldwide for those who love the football life style. Get on the ball by joining our mailing list to get the latest on the Green Army. Ecommerce web design by Willows Consulting Ltd.